April 1st is Freddie's birthday. Months ago I planned a weekend getaway to surprise him for his 41st birthday. I thought of all types of places to go but kept coming back to the classic, refined and gorgeous Kennebunkport, Maine. 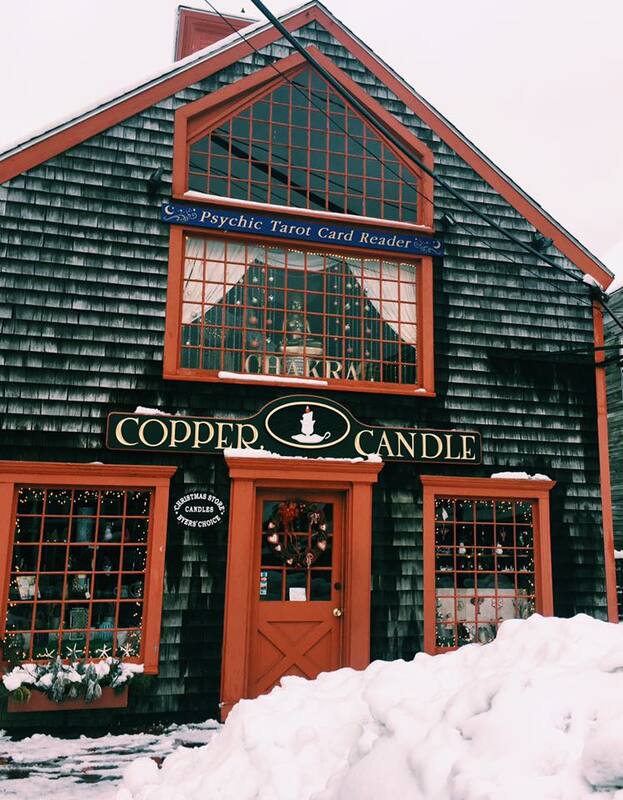 I had visions of weathered buoys, classic New England chapels, candleshops and gift shops that serve up locally made crafts. I thought of women in pearls and stone libraries, historic mansions with their colorful porches and the infamous Wedding Cake house. I researched plenty but knew I wanted to book this trip as soon as I could. Within minutes, I had reservations for the Captain Lord Mansion. Captain Lord Mansion sits at the heart of Kennebunkport and is an authentic Shipbuilder's Mansion. Each room has a story, and as a writer and romantic, I love it. I booked the trip in the grey and cold of winter. April seemed so, so far away from me at the time. I had visions of sundresses, oxfords and sunglasses, lobster rolls and beds of pink and yellow tulips. As we left it started snowing as we glided through Connecticut and headed north. We both have been tired of the snow and all the complications it comes with. When we arrived in Kennebunkport, though, the snow didn't bother me. The Maine scenery took a hold of my heart. I wanted to document the coastal houses, the elegant boats, the distinguished buildings and classic New England chapels and libraries covered in a porcelain sheet of sparkling snow. What I wanted for Freddie and for us, was a getaway. Some time for ourselves to create fun and beautiful memories. Stories of Maine we can share. Tonight is our first night. I'm in bed wearing the bathrobe supplied to us. The fireplace is flickering with warmth and an orange-red glow. Already, I feel cozy and relaxed. The staff at Captain Lord Mansion has been amazing and Kennebunkport has been inspiring, romantic and dreamy. I'm so glad my love and I can write our own stories of Maine each moment while we are here without pen or paper. Just living and relaxing.